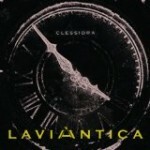 Share the post "Album Review: LAVIANTICA – Clessidra"
Is there anywhere in Europe that isn’t producing progressive rock music of the highest order at the moment? Following in the solid tradition of Rock Progressivo Italiano big hitters of the seventies such as Banco, Le Orme and particularly PFM, come Laviantica, a Rome-based outfit who, without slavish duplication, have taken the template forward with some quite stunning results. For those unaware of the rapid rise (and gradual decline) of RPI it was a very Italian take on everything that was going on in the UK – prog-wise – at the time, a potent mix of Yes, Genesis, ‘Floyd and particularly King Crimson. And thus it is here, as Laviantica trawl said bands’ legacy and come up with their own refreshingly idiosyncratic version of events. Based on the concept of time (Clessidra: hourglass) and weather there are moments of absolute beauty everywhere, reminding this listener very much of fellow Italian cinematic mood-setters Hostsonaten – and trust me, that’s some accolade. Nine tracks in total, and with the exception of instrumental opener ‘Intro’ and closer, the epic eleven minute instrumental ‘Laviantica’ the album is sung in Italian throughout. Problem? Of course not – who would go to see ‘La Traviata’ sung in English? …And what follows is definitely music for the soul. That’s not to say it is soporific or monotonous, in fact the time signature changes keep you on your toes and the band do rock out from time to time – but the overall ambiance is one of, well, ambiance really. There are multi-layered keyboards, delicate piano, flecks of acoustic guitar and plenty of Gilmouresque electric wig-outs to satisfy the most dedicated prog-head and whilst the vocals of Paolo Perilli are hardly up there with Anderson and Gabriel, they’re competent enough to get the job done. All in all an exquisite piece of work that has the capability to relax and amaze in equal measure – a difficult trick carried off with aplomb. This entry was posted in ALBUM REVIEWS, ALBUM REVIEWS (Mobile), All Posts and tagged Clessidra, Laviantica, Progressive Rock, review, Rock Progressivo Italiano. Bookmark the permalink.